Carlos Rodriguez submitted this photo and caption. 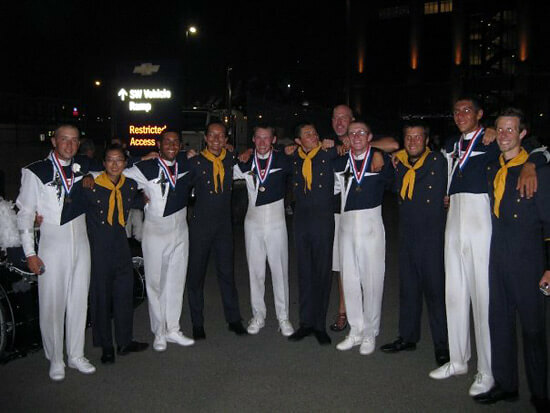 The Blue Stars bass drummers congratulates Troopers bass drummers on returning in 2009 to the DCI Finals for the first time in 23 years. Left to right: Patrick Curry, Cristal Tay, Carlos Rodriguez, Amanda Bell, Alex Byers, Patrick Wall, Brent Montgomery, Jason Keller, Brad Allred, Michael Polarinakis, Chris Smart.